You might have heard the buzz, Dior is about to release 11 new and permanent eye shadow palettes in the beginning of August along with their Fall Collection. 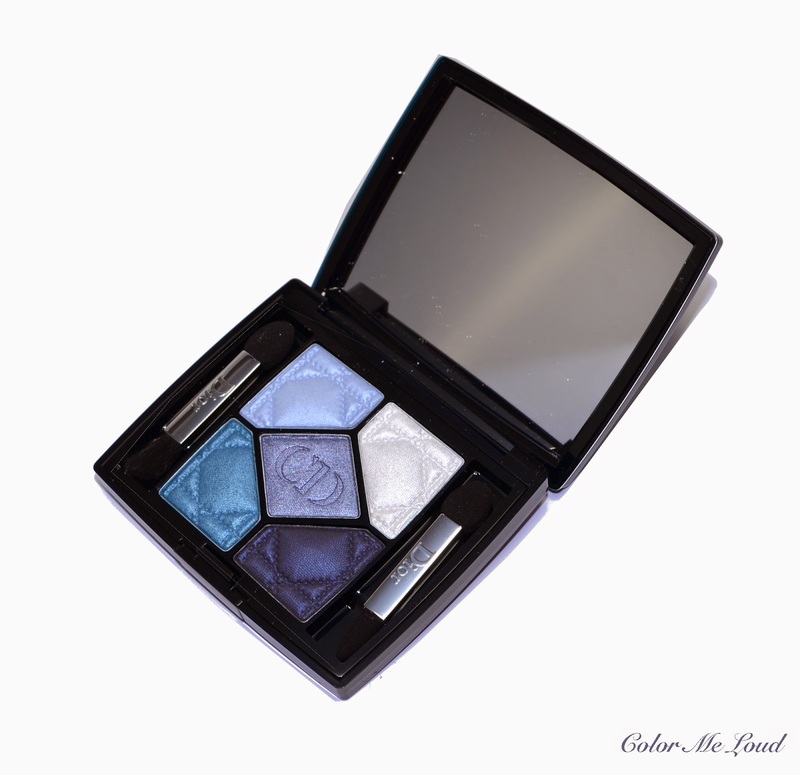 I am preparing a post to compare these new quints to the existing ones in terms of packaging and ingredients but first things first, today I would like to talk about the blue quint of the line, 5 Couleurs Eyeshadow Palette in #276 Carré Bleu. I will post some comparison photos with the next post but right now all I can say is that the new compact is sleeker, more chic and includes the same amount of eye shadow (6g). 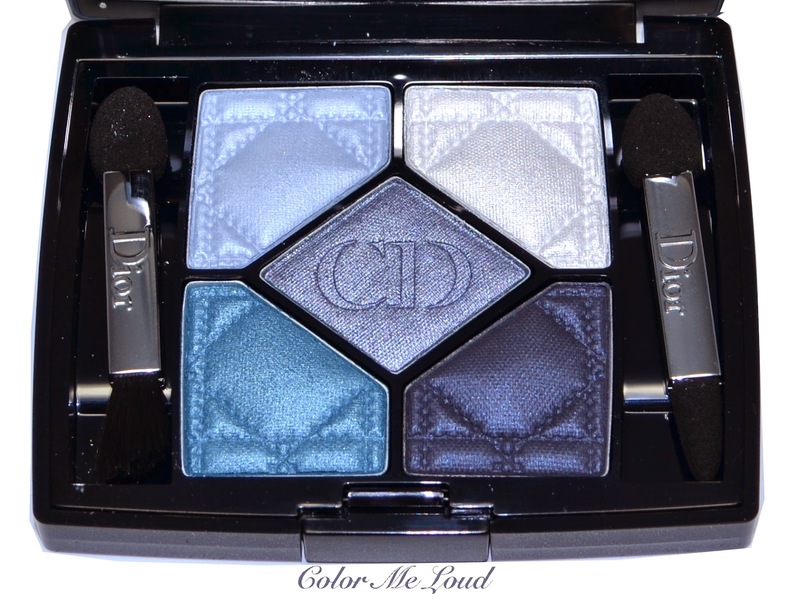 The signature Dior pattern on the eye shadows remained unchanged, so did the CD logo embossed on the center shade. I would classify #276 Carré Bleu as a ton sur ton palette since it has four different tones and textures of blues combined with white. Matte, satin, frost and metallic textures differentiate these shades from one another along with their undertones. Top left: A light pastel baby blue with matte finish. It has good color pay-off but depending on how you apply it, it might be a little powdery. I recommend to tap off the access before the application. Top right: A cool white with frosty finish. This one is very smooth to touch and it has great color pay off. For using it under the brow bone a very light hand or a very soft fluffy brush is needed. 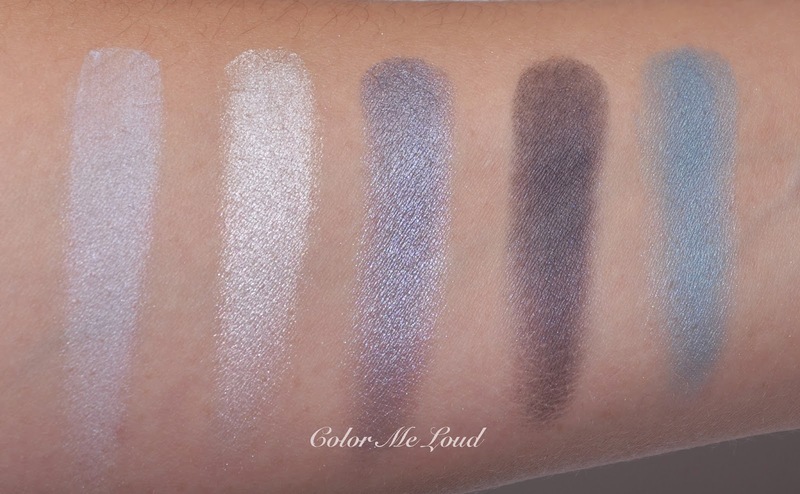 Center: One of my favorite shades of this palette, a mid-toned metallic grey blue with gorgeous silver shimmer. It is not too cool and has the tiniest bit of red inside to make it more wearable. Bottom right: A deep navy blue with matte finish. I was determined to love this shade because of the undertones as well as the finish but unfortunately it turned out to be a little too dry for me and I couldn't get the color pay-off I was expecting. I also will try it with a damp brush and edit this post if it applies any better. I was contemplating since last night if I should post this close-up eye look or not. It is the result of my first experiment with Carré Bleu, trying to apply the shades so that they show up but I failed to get them right. You can see the center and the bottom left shade on the lid and white one on the inner corner. The darkest shade didn't build up to define the crease after numerous sweeps. I used Tom Ford Blending Brush which is one of the stiffest of the crease brushes I have. I would like to use it damp on my next try. 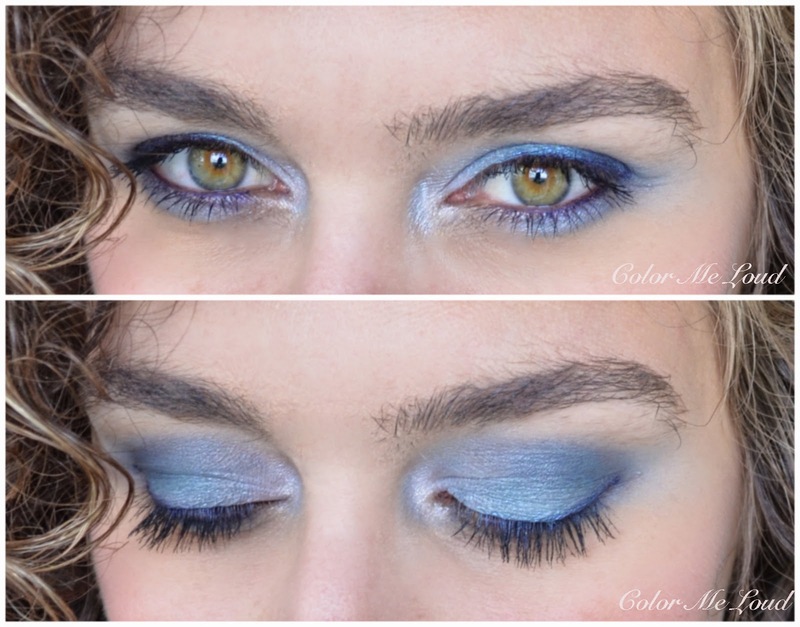 I lined my eyes using an eye liner with purple undertones to make the blues work with my eye color. You can see that the other shades are very vivid and great for blue fans out there. Here is a quick comparison to Chanel's newly released Tisse Riviera (reviewed here) in case you would like to decide which one to get. Tisse Riviera has more shades combined, a pink, a grey and a black with a metallic blue. 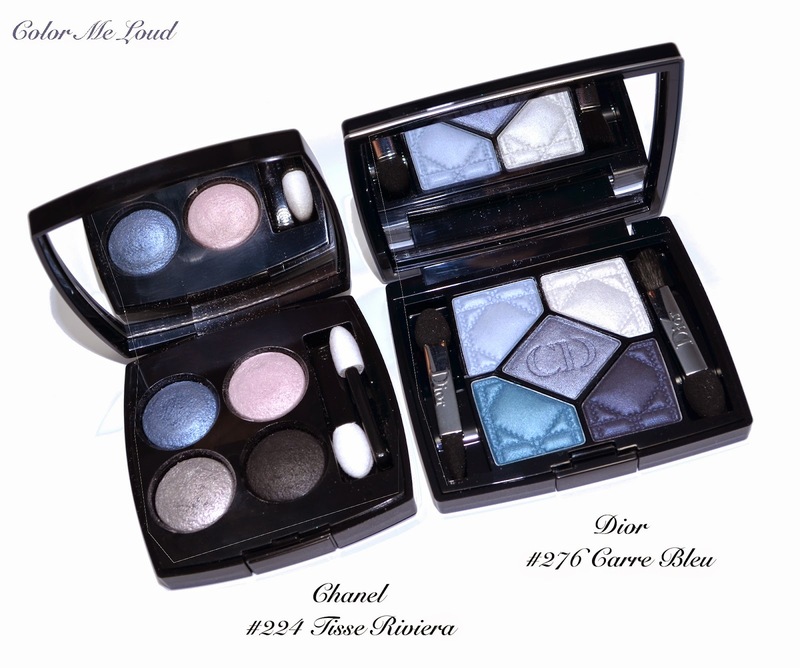 As you can see on the swatches, the metallic blues of each palette are close, Chanel's blue is a little warmer but therefore it has a cooler black and grey. All in all Chanel's quad pulls cooler on me. If you like drama on your eyes, Tisse Riviera's darkest shade works better to give you that, which applies very deep. But if you are in the search for different tones and finishes of the color blue, then you can opt for Dior's #276 Carré Bleu. 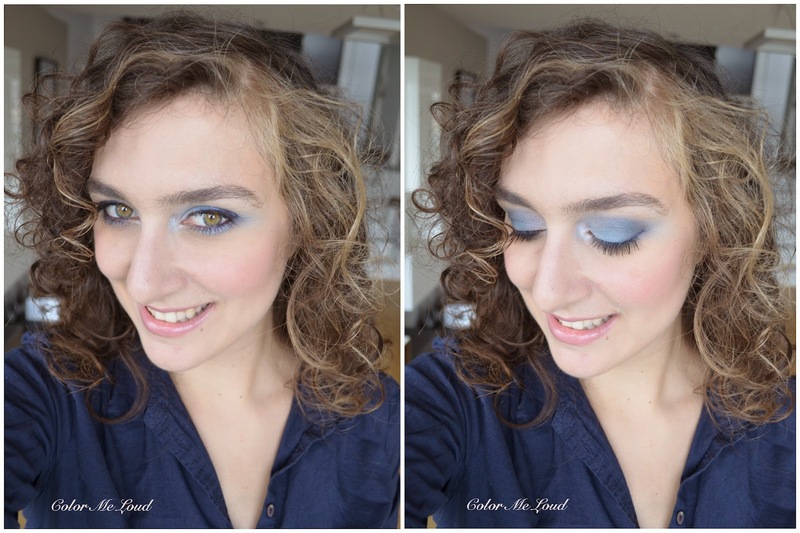 Here is the resulting look with Dior 5 Couleurs Eyeshadow Palette #276 Carré Bleu on the eyes, Chanel Joues Contraste #160 Innocence on cheeks and Rouge Coco Shine #93 Intime on lips, both are recently reviewed here. 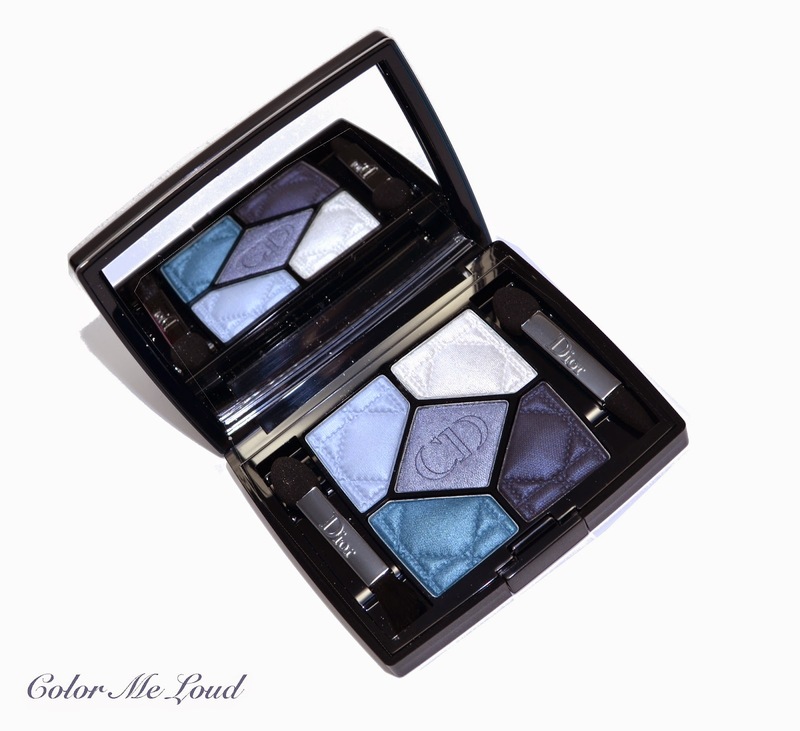 Final thoughts: Dior 5 Couleurs #276 Carré Bleu is a ton sur ton blue palette which offers different finishes and tons of blue for die-hard blue lovers out there. Only one wish yet remains to be fulfilled, just a little bit more pigment and slip for the darkest navy blue. You can see the promo photos of Dior Fall 2014 Collection here. Do you like palettes which have combination of one particular shade or do you like palettes with different shades combined? Which one do you find to be more versatile? Thanks so much for the speedy and detailed review. I think you did an amazing job with a first play! There is waaaay to many exciting eyeshadow (new or reformulations) launches this year, I'm beyond overwhelmed. If this was launched before the Chanels tisses, I would have brought this just for that middle shade, but as a whole palette, I prefer the Chanel. I do want to get the palette they used on the campaign with red bronzy combinations. Wow this is gorgeous! I'm falling in love with the center shade but I don't think I would be able to pull it off haha. I love the use of the purple eyeliner, it really adds something special. Oh if only I had double eyelids, everything would show better without being smokey :P.